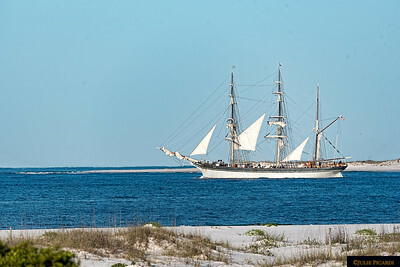 The Elissa and the Barque Picton Castle as they depart through the pass leaving Pensacola. 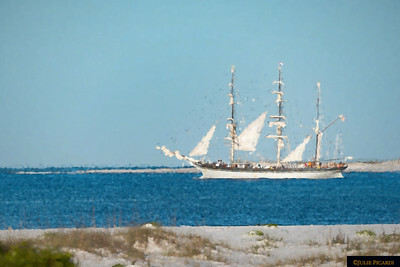 Departing the Tall Ships Pensacola Festival - headed to New Orleans, LA. The Elissa was built and commissioned as a merchant vessel in Aberdeen, Scotland in October of 1877. 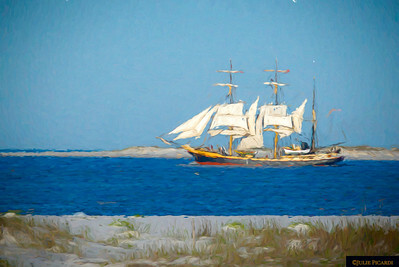 She sailed under the flags of Norway, Sweden, Finland and Greece undergoing multiple revisions and restorations. 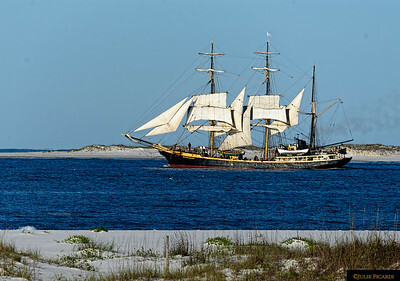 Her sailing history includes bringing bananas to the port of Pensacola in 1886. 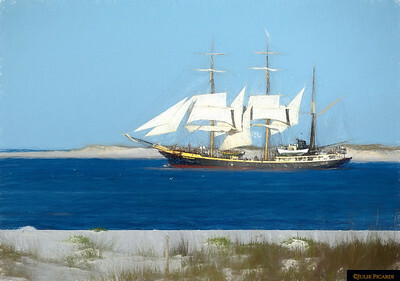 A rusted relic in Piraeus, Greece, she was rescued by the San Fransisco Maritime Society in 1970 to be purchased by the Historical Foundation of Galveston for $40,000. Towed to Gibraltar for restoration, she was at last seaworthy in 1985, making her way to Corpus Christi, TX. 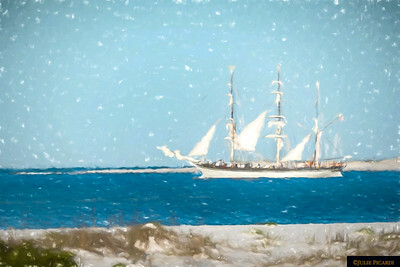 When not out on sailing adventures, she is berthed at the Texas Seaport Museum in Galveston.